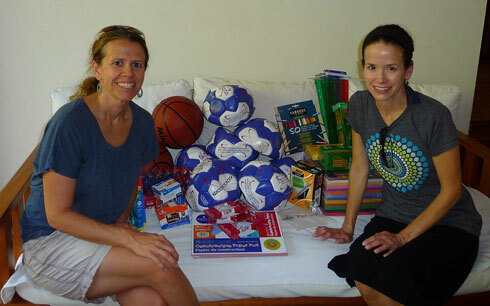 My friend Janet and I were able to drop off our donations at Hotel Capitan Suizo for the community schools they support about two weeks ago. All of the soccer balls we requested from soccer.com arrived just in time! This was our second time Packing for a Purpose and we were excited to participate. Thanks for all you do for Pack for a Purpose!